Spring is in the air! That means there are lots of fresh spring crops showing up at the market. 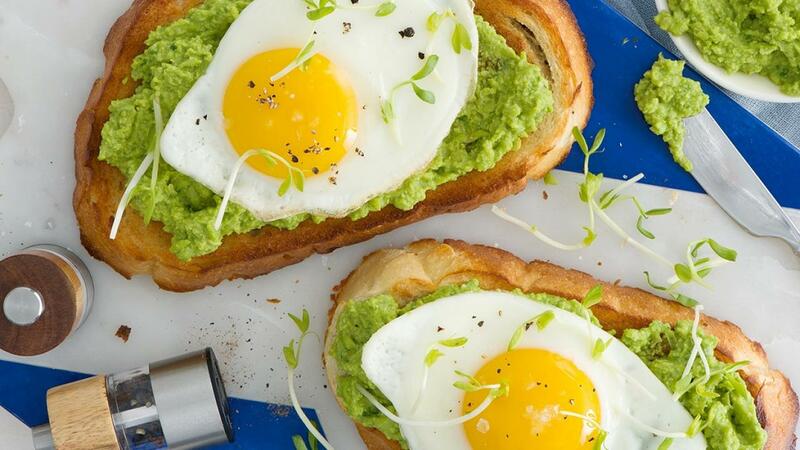 With eggs always in season, here are some of our favourite recipes that feature fresh spring crops and delicious Canadian eggs. Spinach, Feta and Red Pepper Wraps—Although we see spinach in the grocery store year-round, its peak season is spring. This easy and delicious wrap is perfect for breakfast, lunch or dinner! Enjoy spinach in this Polenta Bowl, Spinach Dill Soup, and with Potato Rosti at breakfast! Egg and Veggie Salad Rolls With Sweet Heat Dipping Sauce—These super quick salad rolls feature sprigs of mint, which comes into season in the spring. Watch the video below to see just how easy they are to make at home. Strawberry Pavlova—Strawberries are a highly-anticipated fruit that come into season in late spring. 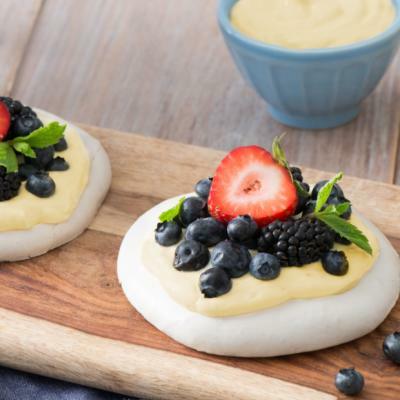 Enjoy them in this light and airy simple pavlova dessert. Make the meringue ahead of time and store in an airtight container for a quick dessert when entertaining. Want to use up your strawberries at breakfast? Try this Stuffed French Toast! Poached Egg Over Roasted Asparagus—Asparagus is harvested throughout the spring season. Keep it simple and let its subtle flavours and textures shine with an easy poached egg atop a bed of roasted asparagus. 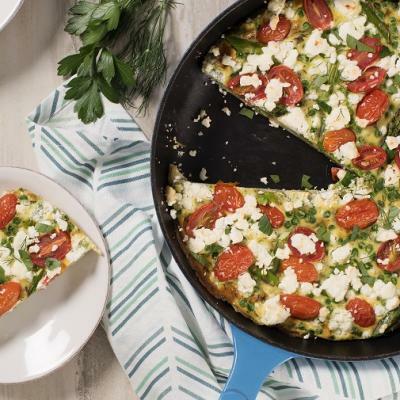 Including asparagus in your main dish is easy with this Spring Vegetable Frittata! Italian French Toast—Arugula, also called rocket, is in season in the spring and can be enjoyed in this delicious Italian-inspired French toast or in a salad. Herbed Devilled Eggs—Herbs love the spring! 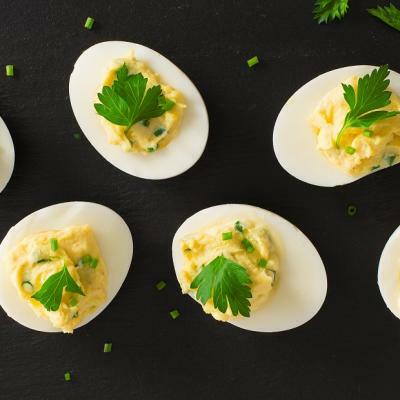 Enjoy parsley and chives in this easy devilled egg recipe!